With the weather (hopefully) warming up soon, this year’s Highland Games season is about to kick off. This weekend, March 6th – 8th, you will find Clan MacLeod representatives at the North Texas Irish Festival in Dallas, TX. 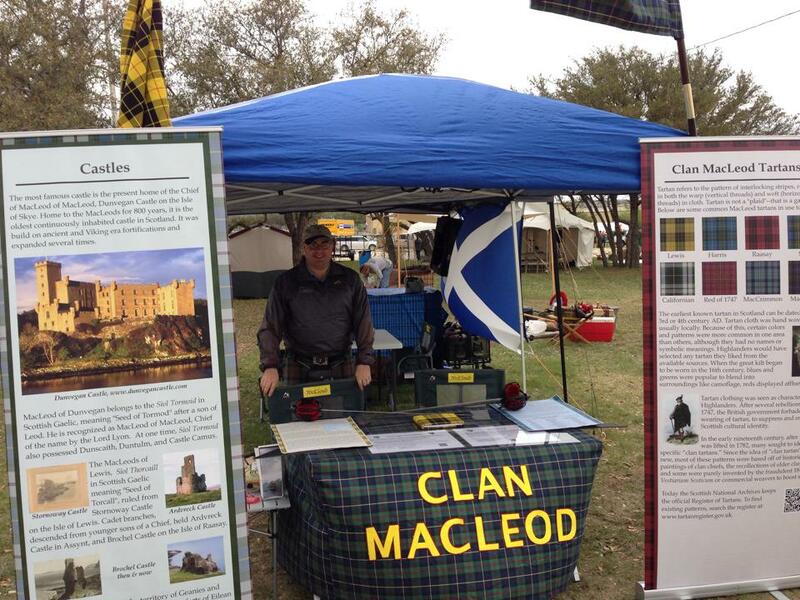 Next month, look for us at the San Antonio Highland Games in Helotes, TX, April 11th & 12th. Hope to see many MacLeod friends at these great events. Also, remember to visit the clan tents to join or renew your memberships, if you haven’t already! This entry was posted in Highland Games. Bookmark the permalink.